Habitat: Well drained, light and fertile soils. The plant is native to the Mediterranean and Southwest Asia. 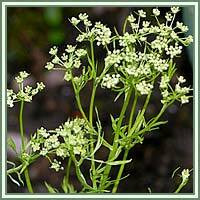 Description: Anise is annual, herbaceous plant. Grows to 1 m tall. Leaves near the base of the plant are simple, and the leaves higher on the stem are pinnate, divided into numerous leaves. Flowering occurs in July. Flowers are produced in dense umbels, white in color. Medicinal use: Anise has a sweet flavor, and is considered to be a very good herbal remedy. It is considered to be an excellent tonic, helpful in solving various digestive problems, like bloating, nausea and indigestion. Strong antispasmodic and expectorant, Anise is used in treating respiratory conditions: asthma, whooping cough, pectoral affections. 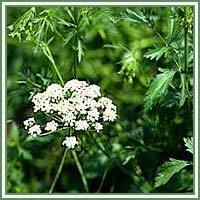 Externally, it is used as a chest rub in treatments of bronchial disorders. Safety: Anise should not be consumed during pregnancy and breast-feeding. Some herbs could react with certain medication. Therefore, it is highly advisable to consult your doctor before consumption of any herb.